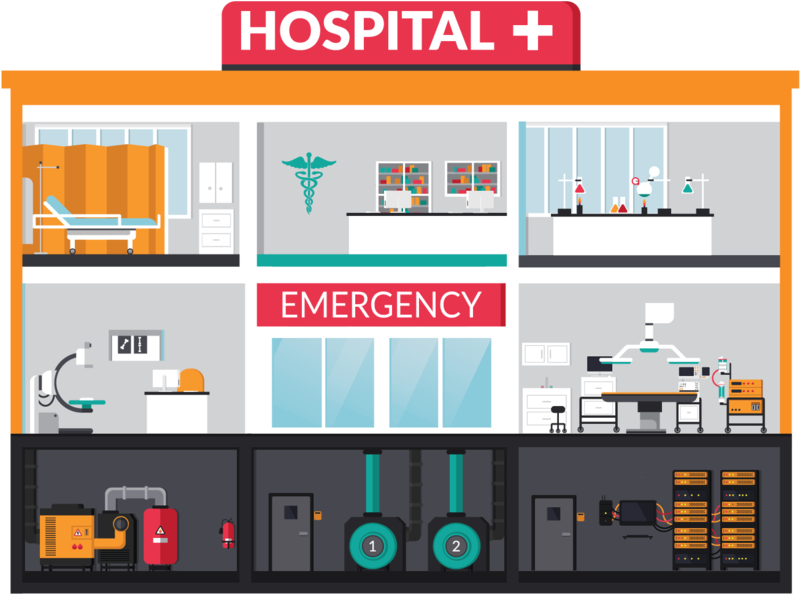 Monitor your healthcare facilities with ServersCheck's sensors. ServersCheck offers a modular, scalable and affordable solution to enhance the monitoring of your healthcare facilities. No vendor lock-in from ServersCheck. Unlike other vendors, we rely on open industry standards like XML, SNMP and Modbus TCP. This allows you to integrate our hardware with most BMS and NMS platforms. The sensors are stand-alone and don't require a central server to operate. ServersCheck is a DIY solution: any IT person can install it; this without require any training. Check out our how-it-works instructions and see for yourself how easy it is. ServersCheck is the ideal cost effective solution to complement the monitoring you already have deployed in your healthcare facility. 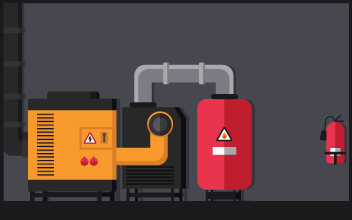 Power, Engine and Generator Rooms. With our ultrasonic fuel level sensor you can monitor the fuel in your generator tanks. The shock sensor will alert you when your generators are running or when abnormal vibrations are detected. The DC power sensors will monitor your emergency power batteries. Combining it with our IO sensors you can create a true hybrid power monitoring solution. The fuel leak sensor monitors for any leaks from the tank or generator. The AC power meter sensors enable you to monitor current (A), voltage (V), watts (W) and kWh. The grounding sensor monitors the presence and quality of your electric grounding. Our thermal imaging sensor enables you to monitor thermal runaways in your automatic transfer switches, batteries, generator. ServersCheck's sensors can also be deployed to monitor your climate / air conditioning systems. For example our shock sensor can be used to monitor large air vents for abnormal vibrations. The water leak sensor can detect leaks from the chillers. The temperature sensors will monitor the air temperature. The airflow sensors can monitor the air velocity in m/s. 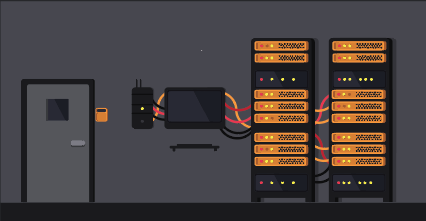 ServersCheck started with its infrastructure monitoring solution in the data center market. 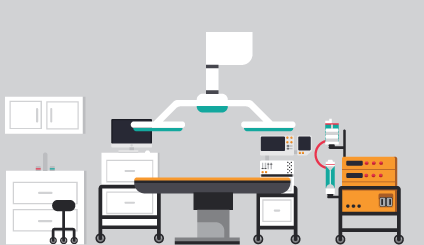 Customers have since deployed our products into other industries like Healthcare Facilities. Our wired and wireless sensors can monitor virtually any aspect of a server room or data center of any size: from small to XXL. Check out our best practices page for our data center monitoring capabilities and ASHREA standards. With ServersCheck's sensors you can monitor the airflow, temperature and relative humidity in your operating rooms. By monitoring the conditions in a robust way, unoccupied modes can be implemented to save on energy costs. 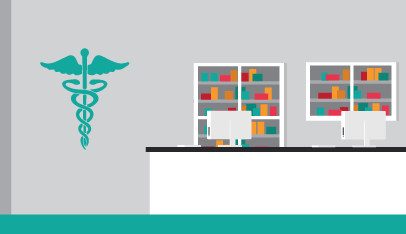 Just like OR's, hospital pharmacies need to operate in specific environmental ranges. Air quality is important to achieve ISO Class 8 (around 20 to 30 air changes per hour). Temperature should be at least 68°F or 20°C with a humidity level kept at or below 50% rH. Medication requiring cold storage, can be monitored with our stainless steel temperature sensors. Each ServersCheck base unit operates as a stand-alone IP enabled device. It is powered either through PoE or 12v DC. 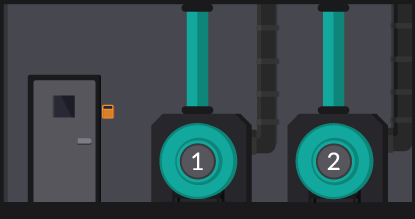 Sensors are powered by the base unit. In order to avoid radio interference in critical environments, the sensors connect via RJ45 cables with the base unit. Over the TCP/IP network, the sensors can be queried using different open network protocols like XML, SNMP and for Building Management Systems it comes with the Modbus TCP protocol.